So, here’s the thing! I don’t do spoilers!! I’m completely un-spoilered for all the remaining Supernatural episodes – and I really want to stay that way. I GOT spoiled today because someone posted a pic behind a cut without a warning *argh*. I really didn't want to see this pic!!! !!!!! *saves banner and userpic* Can I use them with credit? I FEEL THE SAME WAY. I am so freaking annoyed by all the Season Finale Spoiler Postings and people not being able to LJ CUT. Oh of course... use away! :) I don't mind at all! I wanna stay completely spoiler free for the finale too, so don't have to worry about me. Spoilers are so not cool. 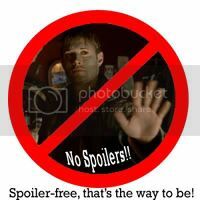 Ill be sure to keep you spoiler free...lol but i want cookies!! jk! !